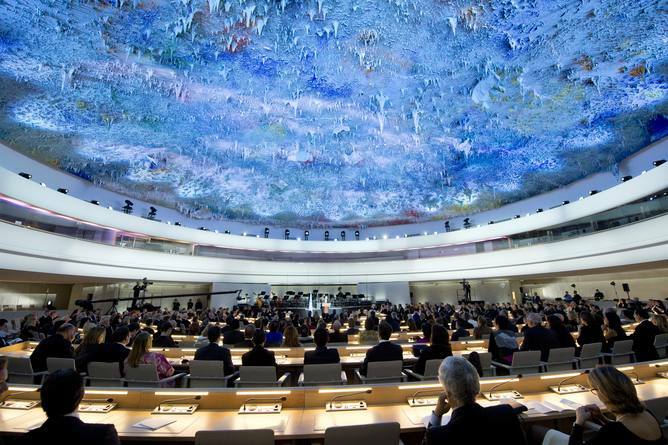 This 9 November, Australia’s second Universal Periodic Review (UPR) took place under the auspices of the United Nations Human Rights Council in Geneva. Australia’s first UPR took place in 2011. The UPR was introduced in 2006 as part of major reforms to the United Nations human rights system. A peer-review mechanism, countries hold each other to account every 4 years through intervention and recommendation after the reviewed state, in this case Australia, has presented its National Report detailing its human rights record. This time around, 300 recommendations were made from 110 countries as to how Australia could improve its human rights record. Australia’s asylum seeker policy was the dominant issue of the Review, with other recurrent themes including Indigenous peoples rights, the rights of people with disabilities, women, specifically the very high rates of gender-based violence in Australia, and children in juvenile detention. Particular calls were made for Australia to stop its policy of boat turn-backs, end mandatory detention or use only when strictly necessary and with limitations. There was also concerns about the conditions in detention and whether Australia was sending people back to countries where they might be tortured, in breach of the principle of non-refoulement. 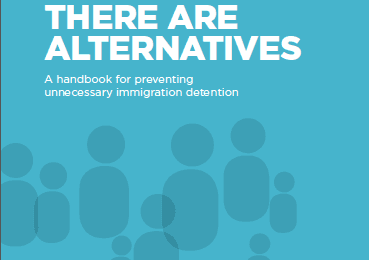 Here is a great summary of key statements from participating countries, specifically criticising Australia’s regime of indefinite mandatory immigration detention. Australia is the only country in the world with a system of offshore processing and the only ‘developed’ nation with a policy of indefinite mandatory detention for asylum seekers and refugees who arrive in Australia irregularly. One of the most consistent recommendations made in the review was for Australia to ratify the Optional Protocol to the Convention Against Torture (OPCAT), which would authorise independent, international oversight of places of detention. Professor Sarah Joseph, Director of Monash University’s Castan Centre for Human Rights who was in Geneva to observe the Review, said there was “little indication” the international community had bought the Australian delegation’s defense of its hard-line anti-refugee policies. At a meeting on the margins of the 2015 ASEAN Summit in Kuala Lumpur in late November, Ban Ki-Moon personally asked Australia’s Prime Minister Malcolm Turnbull to reconsider Australia’s policy of turning back asylum seeker boats. Australia’s conservative Coalition Government has however continued its hostile engagement with United Nations human rights processes. Immigration Minister Peter Dutton has ridiculed scrutiny emerging from the Review as a “farce”. This is in spite of the fact that Australian Government is currently campaigning for a three-year seat on the UN Human Rights Council starting in 2018. You can watch the entirety of the Review as it happened in Geneva here. 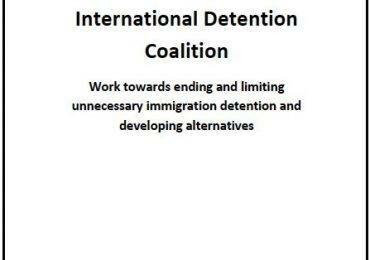 At the International Detention Coalition, we are in agreement with international human rights laws and standards which make clear that immigration detention should be used only as a last resort in exceptional circumstances, after all other options have been demonstrated to be inadequate in the individual case. The evidence is clear: current Australian Government policies do not reflect these international standards, and must be meaningfully adjusted in order to protect the rights and liberty of all asylum seekers, refugees and migrants.